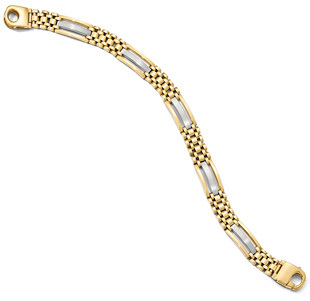 Exquisitely designed, men's 14k solid gold link design bracelet. Bracelet weighs approx. 27.0 grams. Bracelet measures 10.5mm wide (between 3/8" and 7/16"). Length: 8 inches, standard. Available in all lengths by custom order. Longer lengths may take up to 7-10 business days. 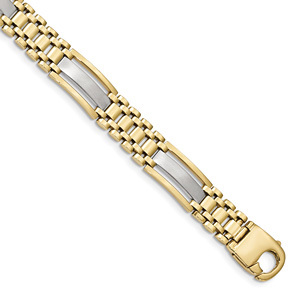 We guarantee our 14K Gold Men's Link Design Bracelet to be high quality, authentic jewelry, as described above.